The median price for homes in Maryland’s major metro areas last month reached the highest July levels in a decade. Median sales prices in the Baltimore metro area increased 2.6 percent in July compared to the same time the year before, according to data provided by MarketStats by ShowingTime based on listing activity from Bright MLS. Meanwhile prices in Montgomery County increased by 6 percent and 1.1 percent in Prince George’s County. “Lenders are saying, ‘We don’t know what (interest) rates are going to do.’ So, if you want to buy now is the time,” Jimmy Rupert, who has his own team with Douglas Realty, said. Harford County had the largest increase by percentage in median home price. The cost of a home in that jurisdiction jumped by 8.1 percent year over year. Howard County was the only jurisdiction to see home prices dip. The median cost of a home in that suburb dropped by 2.3 percent compared to last year. The drop in Howard County home prices is attributed to the flooding that hit Ellicott City in late May. But the jurisdiction’s median home price of $420,000 was still the highest in the Baltimore metro area. Montgomery had the highest median sales price, $454,000, in Maryland’s metro areas. Baltimore was the lowest with a median price of $159,450, which was still a year-over-year increase of 2 percent. Sales activity increased year-over-year in July in seven of the eight jurisdictions. Closed sales in Howard County fell nearly 11 percent. 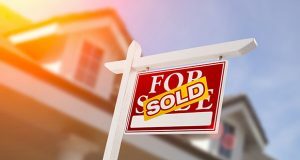 While Anne Arundel County had the biggest surge in closed sales with a 13.4 percent surge compared to last year. Tight supply continues to be the driver behind escalating prices. In the Baltimore region there were 5,163 new listing last month, an increase of nearly 2 percent compared to July 2017, but down 8.7 percent from June. The number of homes on the market in Prince George’s County was up 3.9 percent. But in Montgomery County the number of homes for sale decreased nearly 10 percent from the previous July. Rupert, who focuses on Baltimore, Anne Arundel and Howard counties, said inventory has been better recently. There are fewer multiple offer situations on homes, he said, compared to May or June. “The (amount) of listings and inventory seems to be going up as well,” he said.